An Innovations Weekend will take place after the clergy peer learning group has completed. Typically, this is one year into the Next Level Innovations process. The purpose of the weekend is to discern where God is next leading the congregation. 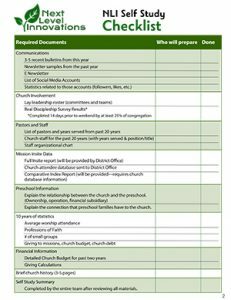 The events of the weekend culminate in a worship service that includes a presentation of strengths, weaknesses, and next level innovations–five or so specific, time-designated goals.  A typical Innovations Weekend takes place Friday-Saturday-Sunday and requires participation from church attendees, leadership, and staff. 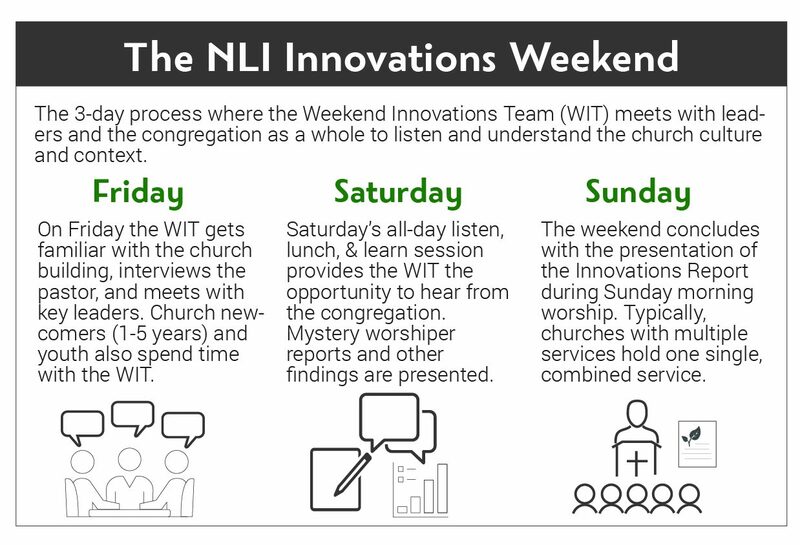 The weekend will be guided and facilitated by the Weekend Innovation Team (WIT). A full weekend schedule and corresponding instructions can be found in our Weekend Timeline. As you begin to prepare for your Innovations Weekend, you need to compile many documents and complete a Self Study. Be sure to visit the Self Study page and download the preparation document as soon as possible, as it is DUE to the District Office no later than one month prior to your Innovations Weekend. Contact Sarah Calvert at SarahCalvert@vaumc.org or 703-820-7200.